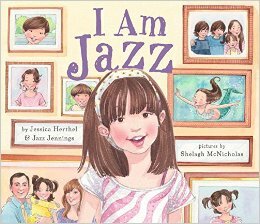 In response to Mount Horeb School District’s recent decision to cancel a reading of the children’s book I Am Jazz in response to a lawsuit threat from the Christian nonprofit Liberty Counsel, the Wisconsin town is taking matters into their own hands to show support for those who identify as transgender within their community. We are thankful for this… We want people to remember that at the center of all of this is a child and her family. This child is a very brave, strong, and amazing child that will be dealing with a rough road ahead. We’ve spent a year discussing (her transition) and figuring out if it’s what we needed to do. But, for our child to be happy, this is what we needed to do. Our 6-year-old can finally be who she really is.